You know when you go to Boots or Superdrug just for "a look" and before you know it you are handing over 5p for a bag because you have purchased so many items that you couldn't possibly carry it all home? That happened to me the other day. I very rarely go to Superdrug and if I do then it is for something in particular as I'm more of a Boots gal myself. When I do go to Superdrug then I always go straight to the Makeup Revolution and MUA stands as I always love what both brands have to offer. On this occasion, I came away with the MUA Luxe Strobe & Glow Highlight Kit. 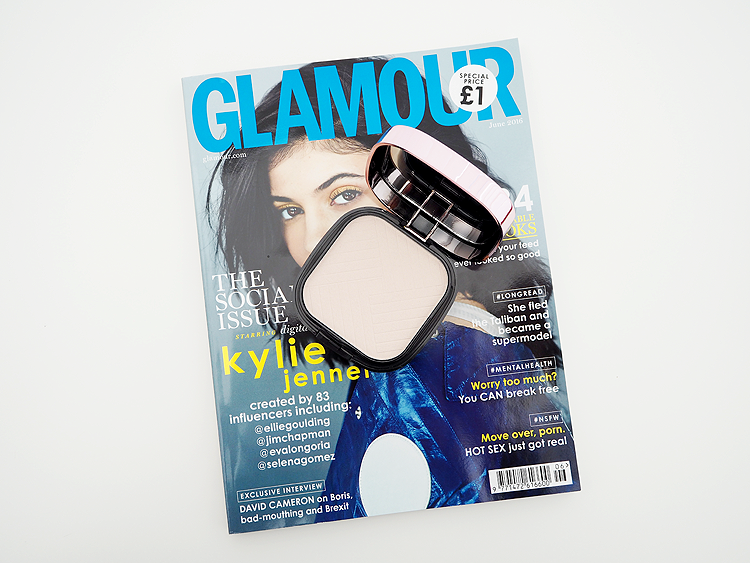 "A multi-formula compact, ideal for effortless highlighting. 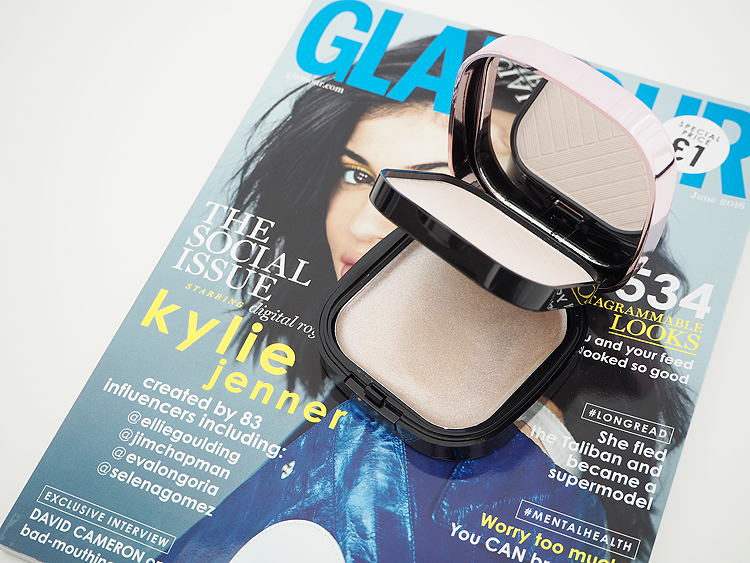 The cream and powder formulas in a light, luminescent shimmer allow for a perfect strobe & glow, iridescent look." Whilst I don't particularly need any more highlighters, it won't stop me from buying them. The reason why I purchased this highlight kit was because it includes both a powder highlighter and a cream-based highlighter and as everyone is all about the glow at the moment, I decided I needed this kit too. I really want to try the Anastasia Beverly Hills Glow Kit but until then, this is a nice cheap little alternative. The MUA Luxe Strobe & Glow Highlighter Kit comes packaged in a pink metallic little compact which has a handy mirror within the lid. Inside the kit you will find the powder highlighter at the top which flicks up, revealing the cream-based highlighter at the bottom of the pan. The whole compact is pretty novel and whilst the product is very in-expensive, I don't find the packaging too flimsy at all. That said, I still wouldn't want to drop it as I am unsure the powder would survive. 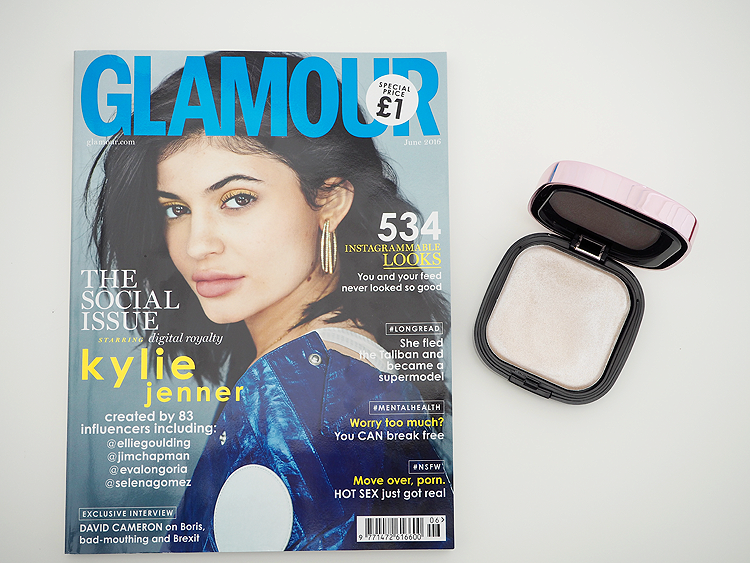 The powder highlighter is pale white in colour which has a gold shimmer running throughout. 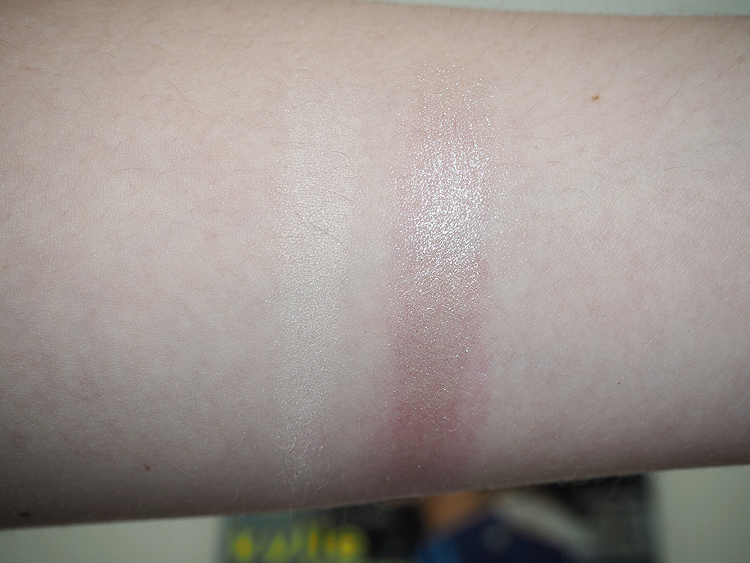 It is very subtle on the skin but can be built up pretty easily without appearing cakey at all. The powder itself is pretty matte in formula and really offers a very subtle glow so if you were after something very light then this would definitely suit you. The cream highlighter is perhaps the best part, although I find its texture rather strange. It is described as being a cream highlighter but I find the texture very slippy, almost greasy but without looking greasy on the skin. The only way I can really describe the texture is as if it was a cream highlighter originally but it melted slightly. Whilst I am not saying it is a bad thing, it is definitely unusual. 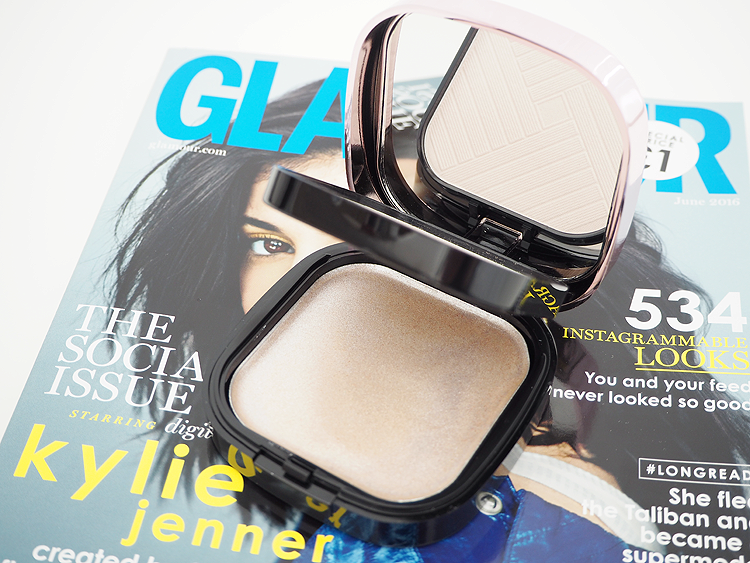 The cream highlighter is just what you would expect. It is a pearly gold, shimmery dream which really catches the eye when applied to the skin. I apply it with my fingers along my cheekbones and it leaves my skin with a gorgeous, glowy highlight that would even impress Kim Kardashian. Longevity wise, I have no complaints. I have oily to combination skin and I have found that this hasn't made any difference in its staying power. It is still there in the evening in exactly the same place as to where I applied it in the morning. You can't ask for more than that! Overall, I really like the MUA Luxe Strobe & Glow Highlight Kit. It hasn't stopped me longing for the Anastasia Beverly Hills Glow Kit but for £5 I am pleasantly surprised. The powder is very subtle and light and the cream highlighter is a beautiful pearly gold which has a wonderful shimmer running throughout. It is definitely worth a try next time you pop in to Superdrug, just for "a look". wow, this looks really nice! I would love to try it! This highlight and strobe kit looks gorgeous!!!! This looks so good, might have to have a look at it next time im near Superdrug! I need to stop buying make up as i really dont need anymore but i just can't help myself. Oh, sounds really like a good deal! Both the cream and the powder look very pretty! And I think the packaging is actually great for the price!